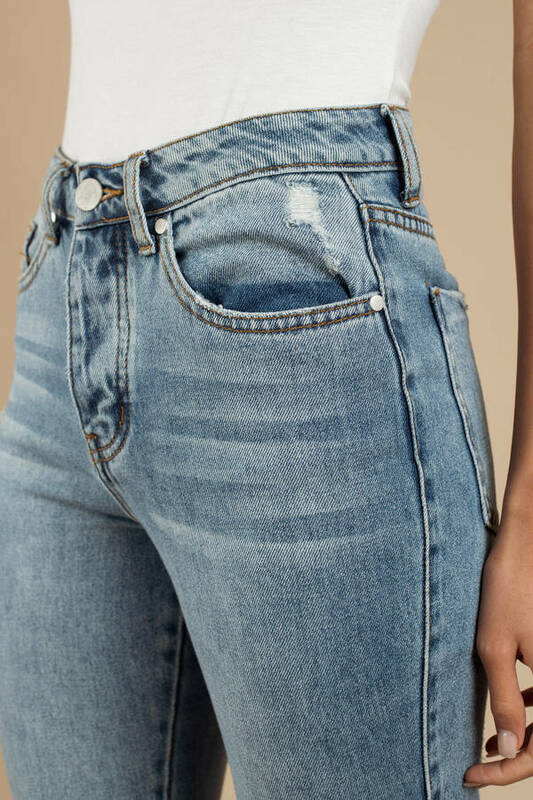 Check out Tobi's Dalewood High Rise Cropped Girlfriend Jean Toughen up your looks with the Dalewood Vintage Wash High Rise Cropped Girlfriend Jeans. 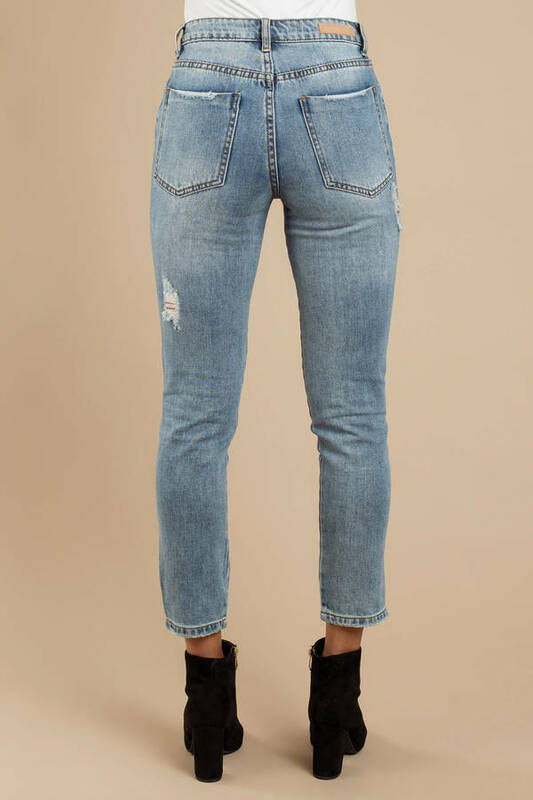 These ankle zip jeans feature a gorgeous vintage wash, high waisted cropped construction, zippered ankles, and light distressing. Perfect for your next outdoor concert, pair these cute boyfriend jeans with your fave band tee and studded boots. Toughen up your looks with the Dalewood Vintage Wash High Rise Cropped Girlfriend Jeans. 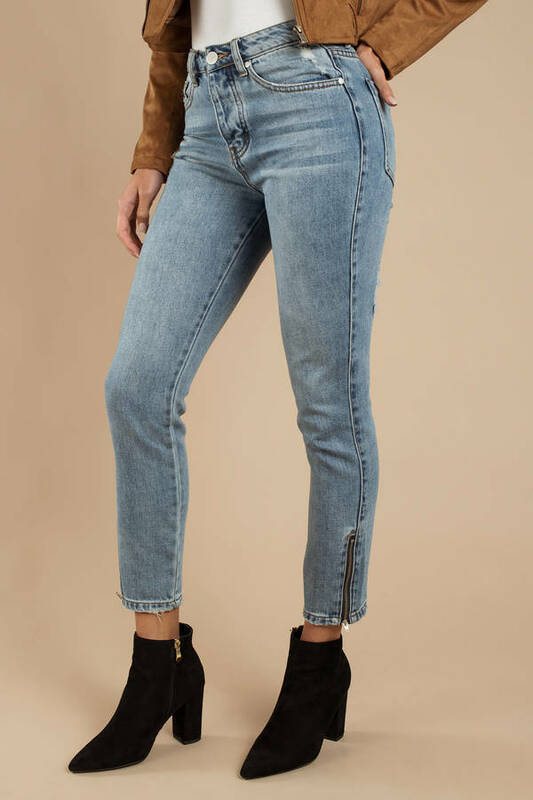 These ankle zip jeans feature a gorgeous vintage wash, high waisted cropped construction, zippered ankles, and light distressing. Perfect for your next outdoor concert, pair these cute boyfriend jeans with your fave band tee and studded boots. Vintage Wash modeled on a size 25.